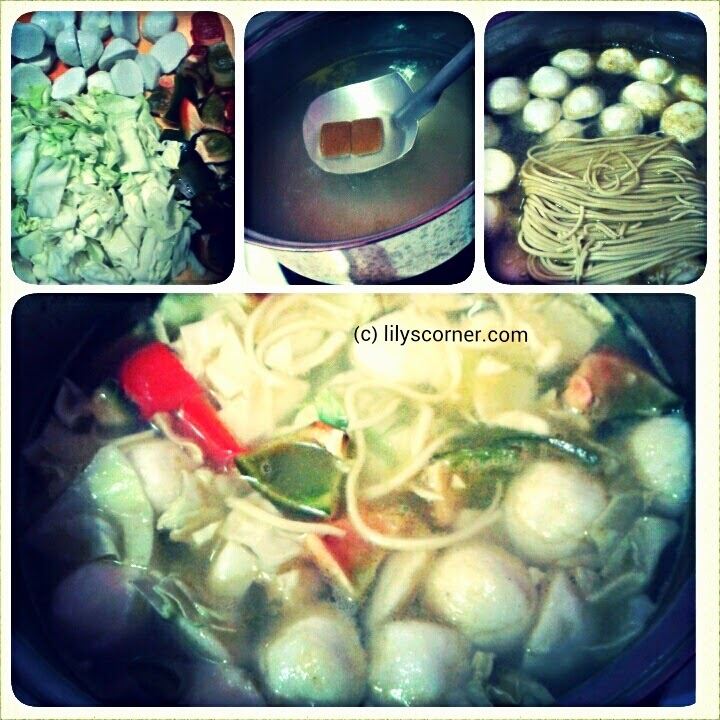 There was a time when I suddenly craved for an egg noodle soup so I googled a simple recipe that I could follow. I saw one but the ingredients they posted weren't readily available in our refrigerator so I opted to improvise. The end product seemed edible naman. lols. 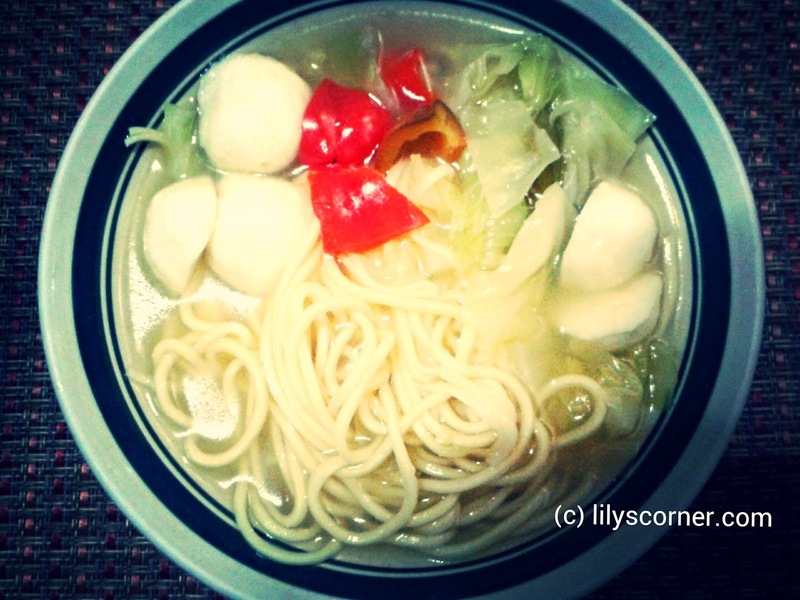 If you're looking for a comfort food that you could easily prepare, look no more because I'll share with you what I've done to come up with a cheap yet healthy egg noodle soup! Prepare all the ingredients needed. You may add more vegetables if you prefer so. Bring 6 cups (depends on your preference) to a boil then dissolve the Knorr Shrimp cubes. 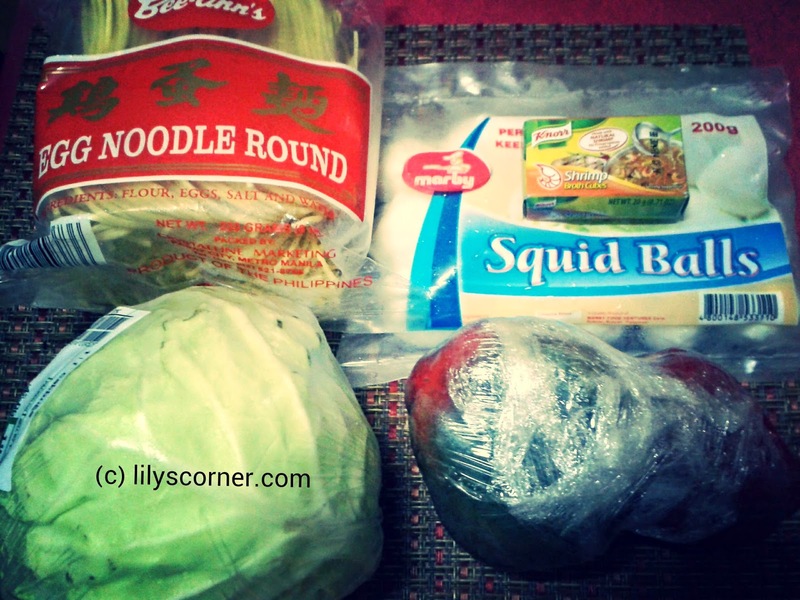 Add the squid balls and noodles (you may also cook noodles separately), let it boil until these are cooked. The procedure is so simple right? You may add spices or other seasonings to suit your taste. At first I thought it wouldn't taste great but I hit it wrong! It's actually delicious and so easy to prepare! I think it only took me 15-20 minutes.